The Top Ten Things I’ve Missed About Tokyo Now That I’m Back! 10 – Walking everywhere I have barely used the car since being here and my new friend FitBit tells me that I’m taking about 10,000 steps daily – in my regular life, without embarking on an exercise program just yet. 9 – Cleanliness Everything is Tokyo is shiny clean, no mean feat in one of the most populous cities in the world. People don’t litter. Being neat and clean is a matter of pride, so that every shopkeeper is responsible for his front sidewalk and sweeps and cleans it regularly. People carry their trash until they find bins. It’s amazing. 8. Polite People Everyone says excuse me and speaks quietly. Japanese people are polite, orderly and quiet in general. Yes, I’m generalizing – but that’s the cultural norm with individual instances of the opposite characteristics happening rarely. 7. Timeliness In general, people show up when they’re supposed to. Things – events – start on time. The trains, with rare exception, run on time. I never wait more than ten minutes for a doctor. It’s amazing. 6. Pomp and Ceremony In Tokyo, things are marked by great displays of ceremony. We were at the Grand Sumo tournament last weekend and we decided it’s as much about the show as it is about the wrestling. Walking out of the arena afterward, there was a drummer high in a watch tower, beating out the rhythm signaling the end of the day’s matches. Ritual. Ceremony. Expectation. 5. Heated toilets with various functions A serious luxury. Amazing stuff. In the dead of winter there’s nothing as comforting as a warm toilet seat and I missed it. 4. Shrines, randomly placed with various events at them We were walking out of the subway at Azabu Juban station on Sunday and the shrine next door to the station, the one with the beautiful torii gate and streamers, had a festival going on with amazing drummers and dancing. It was unpredictable and beautiful and placed right in the center of the city. Beautiful and unexpected and appreciated. 3.Vending Machines They’re omnipresent and sell everything from shoelaces to soda to sake. Drinks can be warm or cold in the same machine. Quite extraordinary and handy. 2. Small Portions of Food in Restaurants The portions aren’t overly small, they’re just reasonable for a meal for one human. It’s quite the opposite of the US where I almost always took home half my meal. Some people eat double portions! 1. The Unbelievably Delicious Food From sushi, to noodles to French food to pizza, there’s no better place to eat than Tokyo. 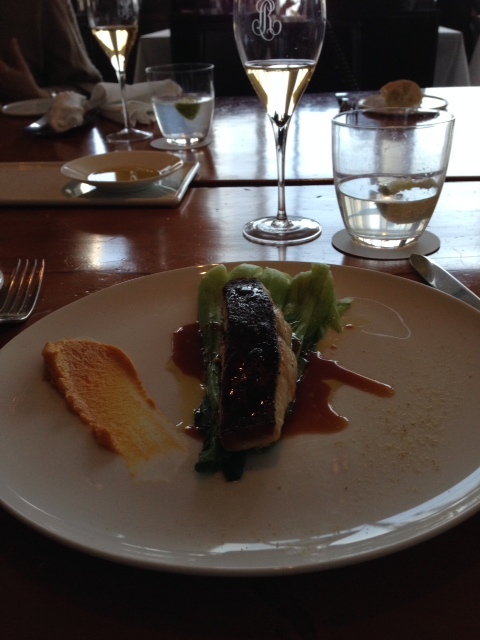 Tokyo has more Michelin stars and more Michelin starred restaurants than Paris. 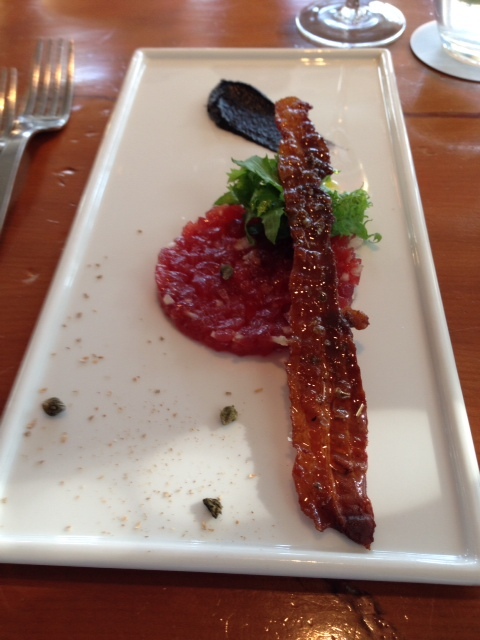 Come here for a truly incomparable eating experience. Vending machines are an art form in Japan. Most machines are pretty normal by Western standards, which means they sell drinks. Some sell both hot and cold drinks and you can tell because the little line below the picture of the drink is red if the can/bottle will come out hot, and blue if it will come out cold – an excellent system. 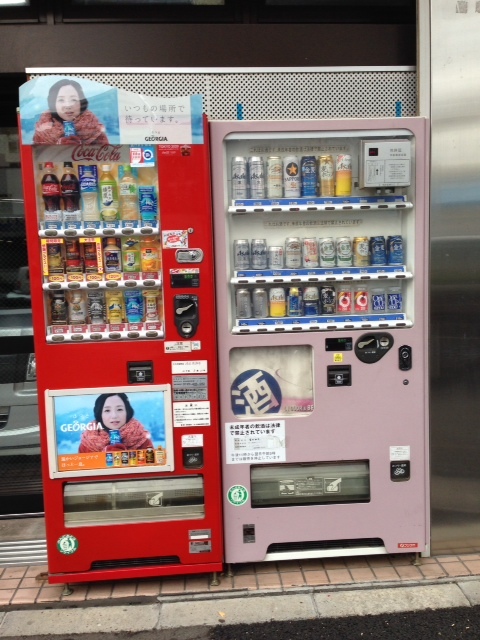 I’ve seen several vending machines that sell beer and sake – no ID required. This is part and parcel of Japanese society: underage people (I’m generalizing here) don’t buy the alcoholic drinks because it’s against the rules. There have been rumors about vending machines selling items of young girls’ clothing – both used and unused. I haven’t seen that for myself so I can neither confirm nor deny such rumor. Most vending machines take a Passmo or Suica card – the same cards used in the subway system. The cards are pre-loaded with money, so many machines have a swipe spot on them like the subway turnstiles do, so you can use your already-filled card to buy a drink if you’re without change. I had one visiting friend who found the machines so fascinating that he was constantly trying new things – all from vending machines – for the entire time he was visiting. Another friend who lives in Tokyo posted something the other day that showed a vending machine for toys, just in case a parent needs a bribe in a pinch. I’m sure that’s not the real reason behind the existence of the toy-vending-machine, but geez, it seems like a great idea if a parent needs an emergency bribe. And trust me, those of us who are parents know the value of an emergency bribe, as long as its used judiciously. My husband found this particular vending machine in the ski lodge in Naeba, a ski resort town just into Nagano prefecture, where he and my son were skiing last weekend. It serves hot food to a needy skier who may want just a quick bite instead of waiting for a full-on lunch and potentially missing a minute of swoosh-time. I’m sure people who are about to hop on a bus back to Tokyo after a day on the slopes (read: 3 hours on a bus…) also avail themselves of the machine’s contents. Most of the things in it are grilled and ready to pop out. 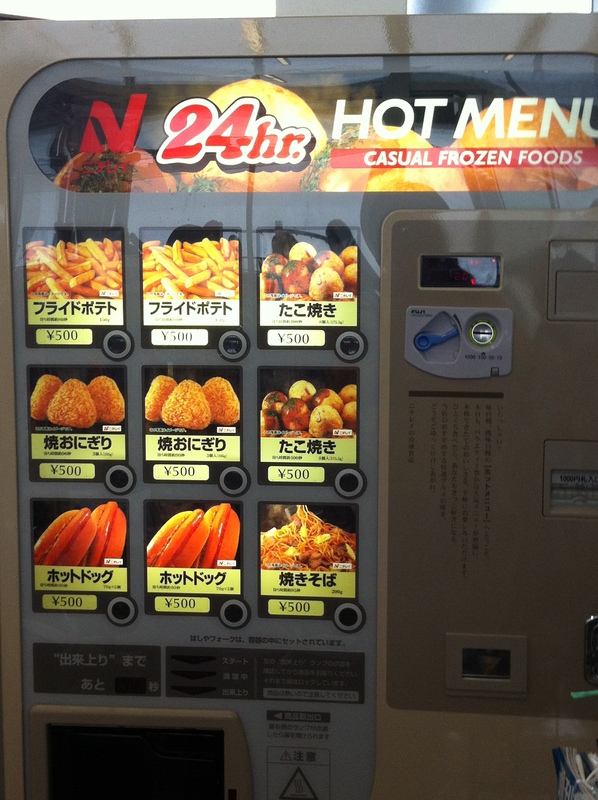 My favorite part of this machine is that it’s advertising that it is open 24 hours, and it’s “casual” food – as if I’d expect formal food to pop out of a vending machine. In addition, it says hot menu, but also frozen foods. I suppose that’s as opposed to freshly cooked. The food was probably made and frozen, then heated up again for purposes of vending. I wonder how often the food is checked for freshness and/or changed. However, knowing Japan and the Japanese people as I do, my guess is that the machine is managed daily. Convenience food taken to a whole new level – that’s Japan for you. 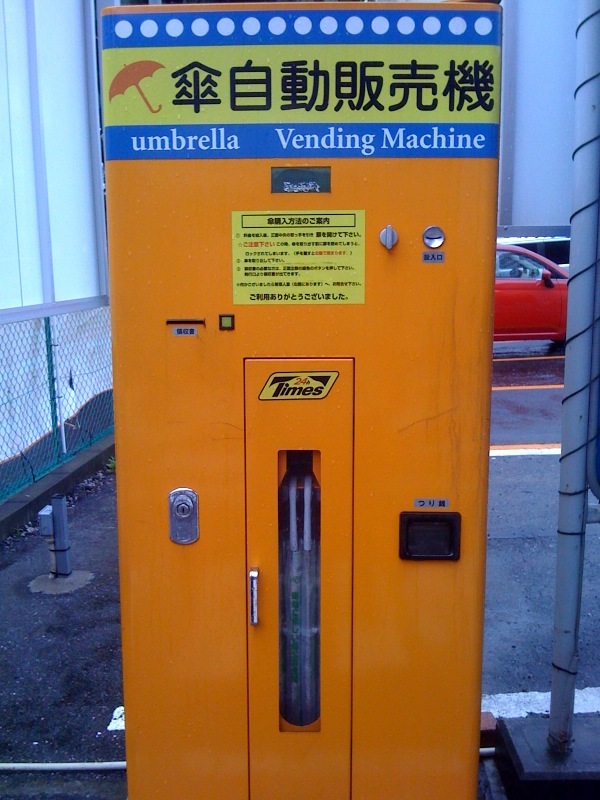 The Japanese know how to do it right – if they need anything, it should be available in a vending machine 24/7. Just as a note – I have anecdotally noticed that when it rains, there are fewer cars on the road. Japanese people tend to drive very slowly and cautiously (there are reasons stereotypes exist, you know – they do sometime derive from an element of truth…) and so it’s inefficient to drive when it rains. There is more likely to be traffic when it’s sunny and fine so people are happy to go out for a drive. Otherwise, they stay underground. This is just the opposite of the U.S. where people are less likely to walk if it rains, preferring the dry comfort of their cars. Interesting mind-set, neh? 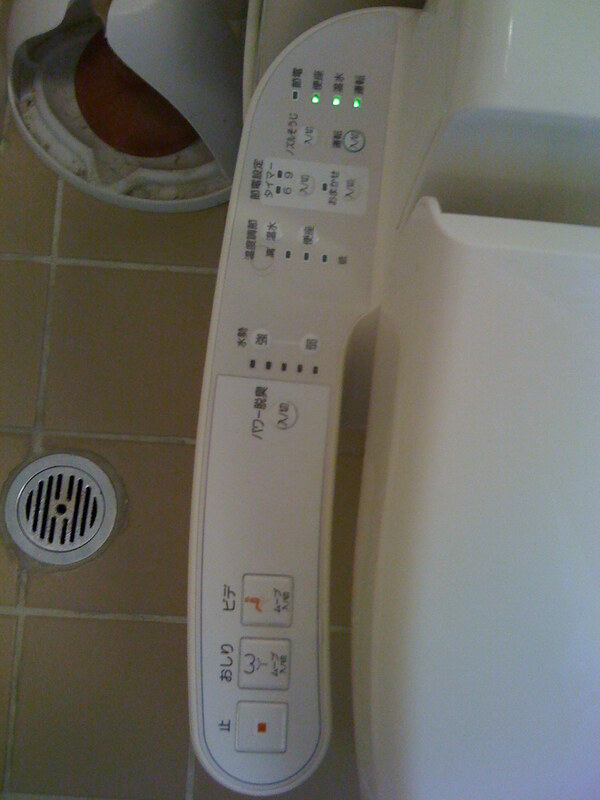 Japanese convenience – the ultimate in comfort. And that is yet another reason why I love it here!